Just what is yacht rock, you ask? Perhaps the easiest description is: music that would not sound out of place being played aboard a yacht back in the good old days. But these songs were also some of the top pop gems of the 70s and 80s. And while some associate yacht rock’s biggest songs with one-hit wonder artists, several of rock’s most renowned artists fall under this category, too, including Fleetwood Mac, the Eagles, Steely Dan, Hall & Oates, The Doobie Brothers, Toto, and more. By the early twenty-first century, yacht rock seemed to have become extinct … until an online comedy series, simply titled Yacht Rock, went viral and introduced captain’s hats and blazers to a whole new generation – as well as the emergence of a popular cover band, the Yacht Rock Revue, and of course, Tonight Show host Jimmy Fallon’s on-air admiration of all things yacht rock. Now, yacht rock is one of the most celebrated ‘yesteryear’ styles of pop music, and has resonated with a new generation of musicians, including the Fred Armisen/Bill Hader–led Blue Jean Committee and soul/funk/ electronica crossover act Thundercat. But despite all the hoopla, there has never been a book that told the entire story of the genre. Until now. 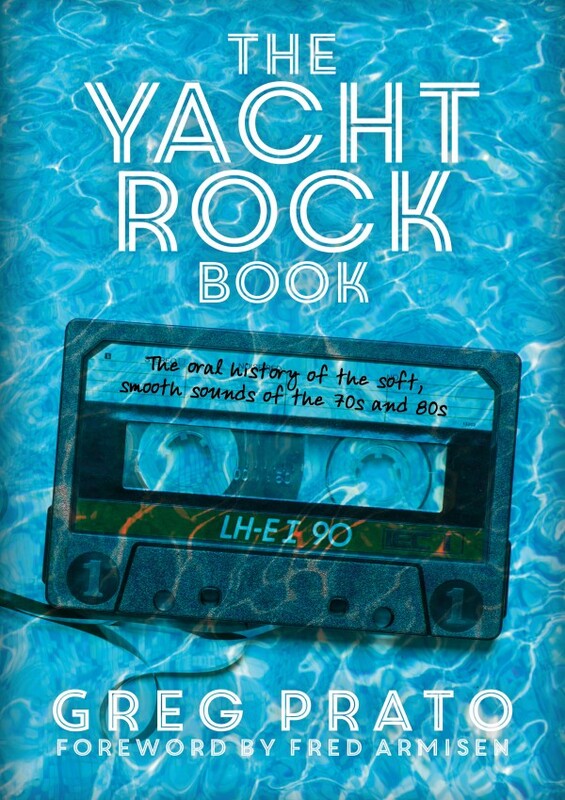 Featuring interviews with many of the heavy hitters of the genre, including John Oates, Kenny Loggins, and Don Felder, The Yacht Rock Book leaves no sail unturned. This is the definitive story of yacht rock’s creation, rise, chart-smashing success, fall, and stunning rebirth. Greg Prato is a Long Island, New York–based journalist whose writing has appeared in such renowned publications as Rolling Stone, Classic Rock, and Vintage Guitar. He is also the author of several popular books, including Shredders! The Oral History Of Speed Guitar (And More), Grunge Is Dead: The Oral History Of Seattle Rock Music, and MTV Ruled The World: The Early Years Of Music Video. And you may even have heard him on one of his many radio or TV appearances, including interviews on The Howard Stern Wrap-Up Show, Eddie Trunk Live, and The Ron & Fez Show.